Reggae legend, Ras Kimono is dead.The singer died today at a Lagos hospital. 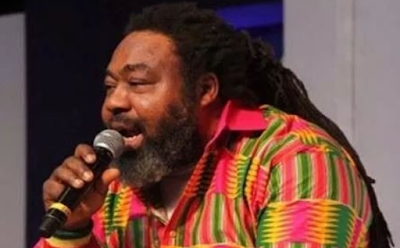 Ras kimono dominated the Nigerian music industry in the late 80’s after his debut album titled “Under pressure” brought him to limelight. His friends who are also prominent Nigerians, Dino Melaye and Ben Murray Bruce have taken to social media to mourn him, as Nigerians both home and abroad have been paying him tributes. May his soul rest in peace. He was 60.